1081. William’s bloody conquest is over and Britain is under Norman rule. But one bastion of resistance remains: Wales. 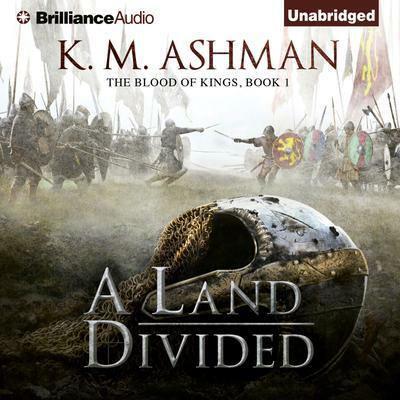 A divided land where brother fights brother and kings battle for power. The English use this to further their own ends, and while one king is tempted by an offer he cannot resist, the others wage war over long-forgotten feuds. Gruffydd Ap Cynan, true heir to the kingdom of Gwynedd, is in exile across the sea. When he hears of the betrayal of the Welsh people by the imposter in his throne, Gruffydd unites with Tewdwr, a monarch deposed by the traitors, and they forge an army from the ashes of their kingdoms. But Tewdwr’s wife and daughter—the source of much of the allies’ strength—are a weakness their enemies will exploit. Betrayal, treachery, and war await, but both men know they must fight to the bitter end, when the sundered lands of Wales are drenched…in the blood of kings.